THEY KNOW WHAT IS WHAT, BUT…. 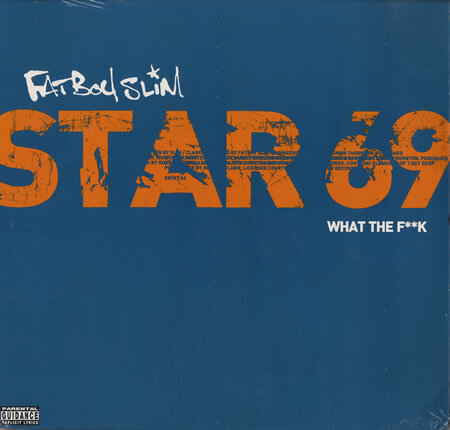 When FATBOY SLIM sampled a chunk of ROLAND CLARK‘s I GET DEEP for his 2001 mega-hit, STAR 69, he not only created another classic club anthem, but also one of the greatest VOCAL LOOPS of all time. Headucate yourself by checking out Roland’s original tune. The famous sample comes in around 3:39. Now check out this massive concert clip of Slim dropping Star 69 at a music fest in Brighton. You know I love tunes that defy categorization. NYC’s MINIMAXX delivers a ghetto tear up that is mainly BMORE, but with a clear DUTCH HOUSE influence. It’s just one of the many killer bootlegs to come from this producers incredibly versatile palet. There’s plenty more MINIMAXX music to check out on his SOUNDCLOUD or HERE. This California producer knows how well the WTF loop lends itself to ghetto beats, demonstrated in this straight up BMore throw down. Check out DJ CARD-1 on SOUNDCLOUD and reach out to his various social media from there. One of JAKE RENO’s best selling tracks is a mashup of Star 69 with the CROOKERS remix of PROXY’s RAVEN. Maaaan does that vocal ever add energy to this already high-power jam. Another triumph for JAKE RENO, who I just recently featured in a QUCK MIX VAULT POST. Check it out. Naturally, I have lots more WTF bootlegs to share with you, and I will likely do so at a later date. For now, let me know which one of the above three versions YOU feel the most. Now you know what is what. One Response to THEY KNOW WHAT IS WHAT, BUT….